Camping Cimbria es un camping en Neckarzimmern, Baden-Wurtemberg, situado del río/arroyo. El camping tiene plazas con cercos, con sombra, sin sombra y parcelas con algo de sombra. Cabe alquilar caravanas y bungalós. El camping dispone de parque de recreo y de terreno de deportes. Este inspector visita cada año al Camping Cimbria y lo inspecciona considerando más de 200 servicios y otros aspectos importantes. El inspector es un trabajador de ACSI y no trabaja para el camping. Very quiet in mid May, lots of space, next to a river. Grassy pitch, adequate facilities, free WiFi and a fair bit of road noise, next to the B27. ok for a stop over. The "enthusiastic owner" mentioned in the write up must have been on holiday when we were there and instead we had to put up with a very sullen individual. He showed us to where the pitches allocated to ACSI card users were - the only pitches not to have any shade whatsover. He gave us a fob for use when entering or leaving the site and for use when having a shower - strictly one shower per person per day for five minutes. He charged the highest ACSI rate per night but didn't tell us until we went to pay, just before leaving, that there was an extra charge to deposit our rubbish in a skip!!! Obviously just a ruse to charge more than the rate in the ACSI book. There are several other sites in. We arrived for a night. Put onto a temporary pitch when paying for a proper pitch. The electrics were dangerous from a temporary box and not as advertised. The electrics gave reverse polarity. Owner not happy for us to use water and the shower token gave too short a time to have a good shower. This site is very very poor and should not be used for overnight stays. Owners also took key deposit, and then did not give the chance to pay by Credit card and took extra, which was not advertised. ¿Desea reservar u obtener más información sobre su Camping Cimbria? Puede hacerlo mediante los datos siguientes. A6 salida 33 Sinsheim. B292 dir. Mosbach. Mosbachkreuz dir. Heilbronn. Sal. Neckarzimmern. El camping está al entrar a Neckarzimmern. 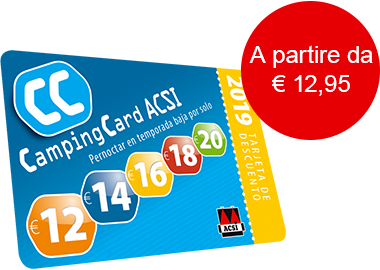 ACSI Eurocampings reenvía su solicitud de información al "Camping Cimbria".